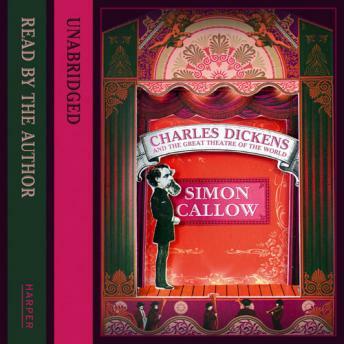 Acclaimed actor and writer Simon Callow captures the essence of Charles Dickens in a sparkling biography that explores the central importance of the theatre to the life of the greatest storyteller in the English language. From his early years as a child entertainer in Portsmouth to his reluctant retirement from 'these garish lights' just before his death, Dickens was obsessed with the stage. Not only was he a dazzling mimic who wrote, acted in and stage-managed plays, all with fanatical perfectionism; as a writer he was a compulsive performer, whose very imagination was theatrical, both in terms of plot devices and construction of character. Like many actors, Dickens felt the need to be completed by contact with his audience. He was the original 'celebrity' author, who attracted thousands of adoring fans to his readings in Britain and across the Atlantic, in which he gave voice to his unforgettable cast of characters. In Charles Dickens and the Great Theatre of the World, Callow brings his own unique insight to a life driven by performance and showmanship. He reveals an exuberant and irrepressible talent, whose 'inimitable' wit and personality crackle off the page.